There is no easier costume than a paper bag mask. Grab a paper bag and cut out holes for your eyes then grab a few markers and let your imagination go wild! 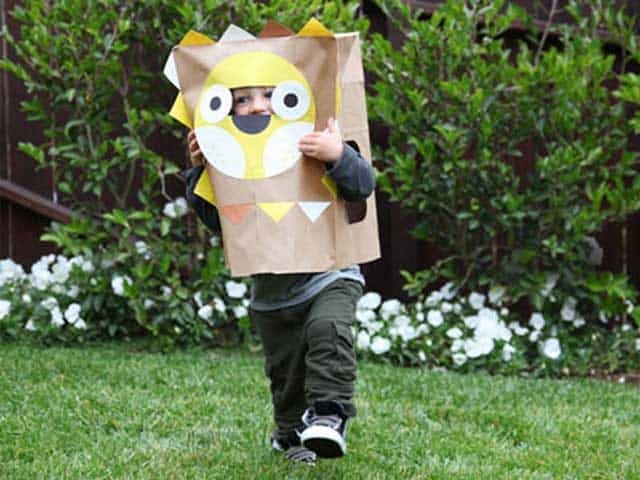 Paper bag masks have become a holiday tradition for some families and Thanksgiving seems like the most popular time to make these, not Halloween but you can have fun with them year round. We recommend large padded envelopes which make great paper masks that hold their form and stay on your head much better. Be careful about placing any item over your head even if it is just a paper bag. NO PLASTIC!